The CEC offers so many opportunities for our students, faculty, and staff to flourish. Students coming to UNO today are actively seeking service and volunteer opportunity activities. More and more frequently, employers are seeking students who can demonstrate the type of volunteer and leadership experience gained through community service. The CEC provides a place to facilitate greater coordination, technical support, and visibility of the full range of community service-related opportunities available to students, all located within one building. The CEC allows for multiple, coordinated approaches to inform, recruit, and support student volunteer service activities in both short-term and long-term settings. The CEC is home to one of UNO's signature outreach programs the Office of Civic and Social Responsibility's—The Collaborative—for students seeking volunteer involvement. Sign-up to receive volunteer opportunities and fairs at unoserve@unomaha.edu. The CEC is also home to another the award-winning UNO signature outreach program—UNO's Service Learning Academy. Students can search for opportunities to get involved in the SLA, while enrolled in a service learning course at UNO. The CEC is truly a “one-stop-shop” for community engagement at UNO. 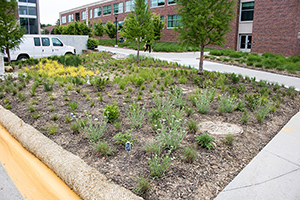 Meeting spaces are available to those faculty engaged in service-learning projects, as the demand for service learning courses activities continues to increase at UNO. 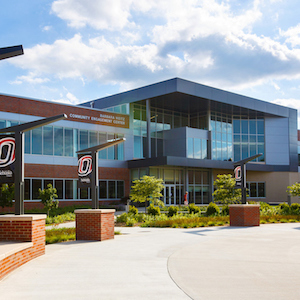 The CEC gives UNO faculty a place to connect with nonprofit organizations, conduct applied research with building partner organizations, and/or other UNO or community partners. For faculty already involved with community boards, the CEC offers space for board meetings and planning activities; for those seeking opportunities with volunteer or board opportunities, the CEC has numerous avenues – via online opportunities, volunteer fairs, and face to face interactions – to connect. If you are you interested in service-learning opportunities for your course, visit the Service Learning Academy website for more information. UNO staff have opportunities to connect with building partner organizations, volunteer, and contribute to our community through activities going on in the CEC. For more information about how to get involved please contact us at unocec@unomaha.edu. Follow the instructions after clicking the arrow below.